Final score from Big Warren. Great game by both teams! 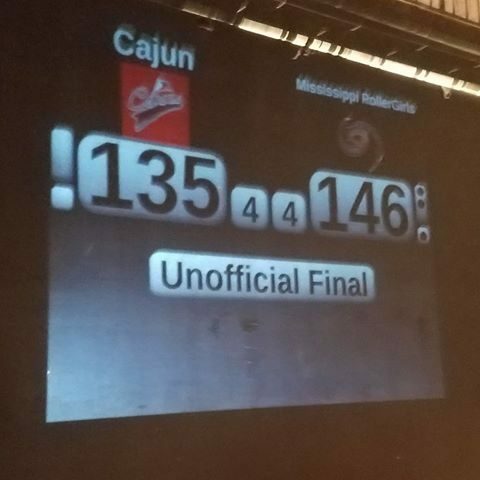 Congrats to MSRG on the win! Thank you ladies for coming out! Be sure to come out to our final game of 2016, when we welcome the Tragic City Rollers to the bayou on Saturday, Sept. 24!